Help spread knowledge of Trichotillomania with other cosmetologists! As a cosmetologist, you often hear about your clients' daily frustrations and intimate secrets. But there is one common problem they are likely to hide from you - a problem that keeps countless other people away from salons altogether. Once you understand Trich, you will become a resource for many others who would love to enjoy your services. 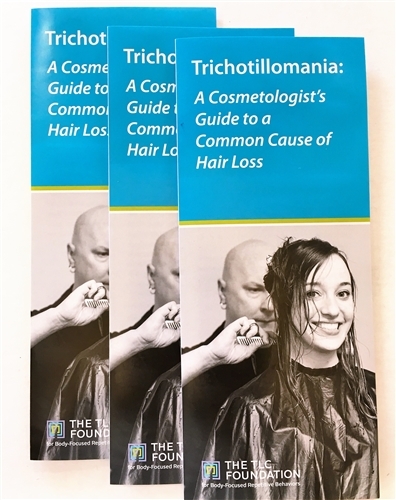 This brochure is designed to present a quick overview of Trichotillomania, its treatment, and how cosmetologists can help.